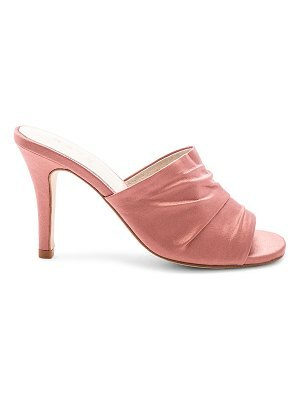 "Dyed mink fur, embossed leather, and patent leather upper with leather sole. Fur Origin: Denmark. Back zip closure. Heel measures approx 5"" H. GIZR-WZ15. I700059. Made from style, technique, value and quality, Giuseppe Zanotti has created the most intriguing shoes of today's time. With an internationally renowned company his focus is on tomorrow and tomorrows style, for he is a man with a passion constantly looking for more."